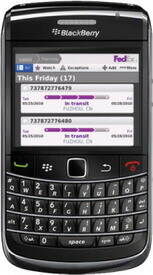 The FedEx Mobile for BlackBerry app is available for free at fedex.com. The FedEx Mobile website is at http://m.fedex.com/. 0 comments on "FedEx BlackBerry App can track shipments"